Kissin was born in Moscow to a Russian Jewish family. Recognized as a child prodigy at age six, he began piano studies at the Gnessin State Musical College in Moscow. At the school, he became a student of Anna Kantor, who remained Kissin's only piano teacher. 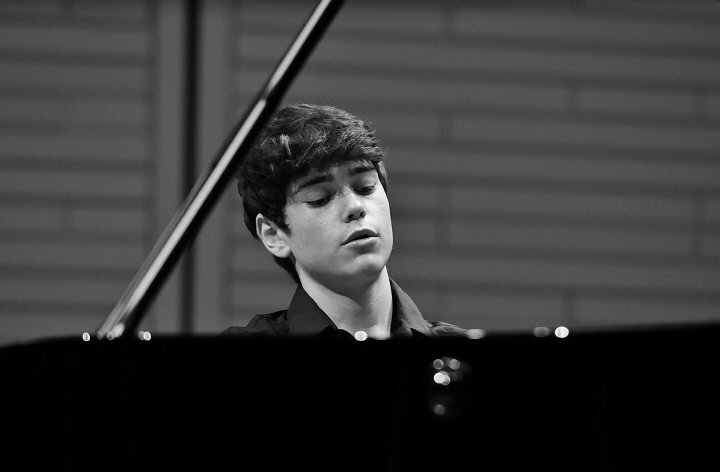 At the age of ten, Kissin made his debut performing Mozart's Piano Concerto No. 20 in D minor with the Ulyanovsk Symphony Orchestra. The year after that he gave his first recital in Moscow. Kissin's talents were revealed on the international scene in 1984, at the age of twelve, when he played and recorded both of Chopin's piano concertos with the Moscow Philharmonic Orchestra, in the Great Hall of the Moscow Conservatoire. Kissin's first appearances outside Russia were in 1985 in Eastern Europe, followed a year later by his first tour of Japan. In 1987, at age 16, he made his West European debut at the Berlin Festival as well as his United Kingdom debut, alongside conductor Valery Gergiev and violinists Maxim Vengerov and Vadim Repin, at The Lichfield Festival. In 1988 he toured Europe with the Moscow Virtuosi and Vladimir Spivakov and also made his London debut with the London Symphony Orchestra under Valery Gergiev. In December of the same year he played Tchaikovsky's Piano Concerto No. 1 with Herbert von Karajan at the Berlin Philharmonic's New Year's Eve Concert which was broadcast internationally, with the performance repeated the following year at the Salzburg Easter Festival. 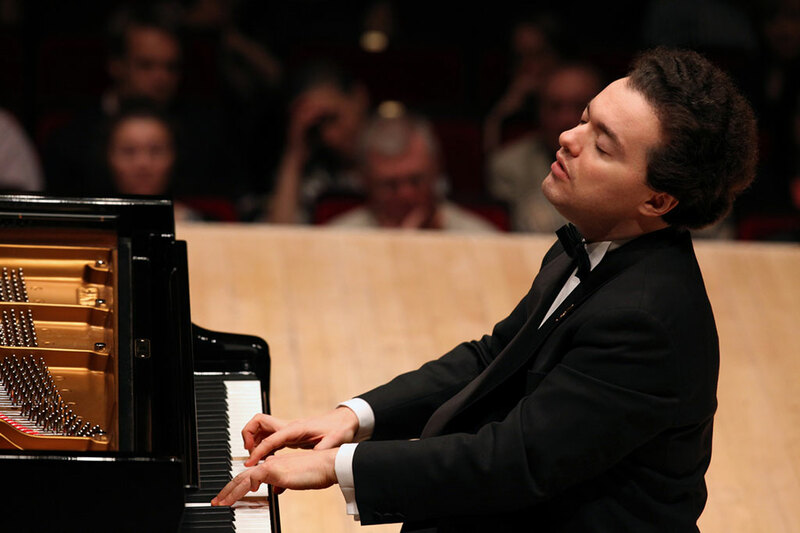 In September 1990, Kissin made his North American debut playing Chopin's two piano concertos with the New York Philharmonic under Zubin Mehta and the first piano recital in Carnegie Hall's centennial season. 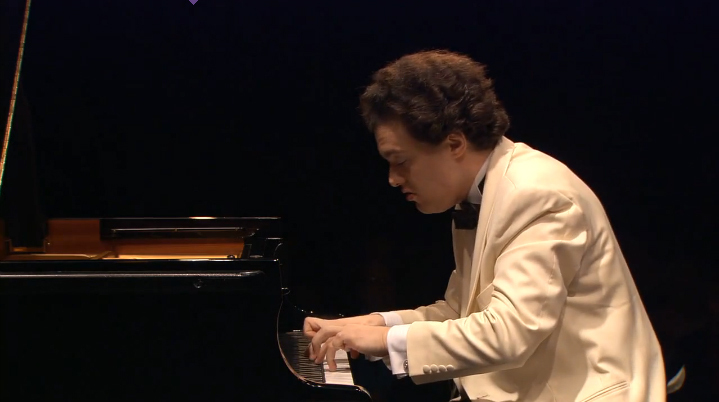 In 1997, he gave the first solo piano recital in the history of The Proms in London. Many musical awards and tributes from around the world have been bestowed upon Kissin. In 1987 he received the Crystal Prize of the Osaka Symphony Hall for the best performance of the year in 1986 (his first performance in Japan). In 1991 he received the Musician of the Year Prize from the Chigiana Academy of Music in Siena, Italy. He was special guest at the 1992 Grammy Awards Ceremony, broadcast live to an audience estimated at over one billion, and became Musical America's youngest Instrumentalist of the Year in 1995. In 1997 he received the prestigious Triumph Award for his outstanding contribution to Russia's culture, one of the highest cultural honors to be awarded in the Russian Republic, and again, the youngest-ever awardee. He was the first pianist to be invited to give a recital at the BBC Proms (1997), and, in the 2000 season, was the first concerto soloist ever to be invited to play in the Proms opening concert. In May 2001 Kissin was awarded an Honorary Doctorate of Music by the Manhattan School of Music. In December 2003 in Moscow, he received the Shostakovich Award, one of Russia's highest musical honors. In June 2005 he was awarded an Honorary Membership of the Royal Academy of Music in London. In March 2009 he was awarded an Honorary Doctorate of Letters from the Hong Kong University. Recent reviews have remarked on changes in Kissin's playing. His early reputation as a full-throttle virtuoso still pertains, but now in his forties, the pianist has provoked recent critics to comment on qualities of reflection and severity, even to the point of charges of monochromaticism with no sense of a bigger musical picture.